I think the last photo shows the Poljot movement. But, either the Oris caseback and movement photos are a simple error, or something very funny is going on! I've just had another look and one movement has Oris watch company engraved upon it and the other seems to be an FHF-ST or clone. Maybe he got his sales pics mixed up? I find myself hankering after a big zero. Does this one look right? XsiOn, your watch dates from around 1981-82' military issue Sturmanskie, it appears that the dial and hands have been re-lumed at some point, the minute counter hand and chrono sweep hand (red hands) are modern non Poljot replacements. 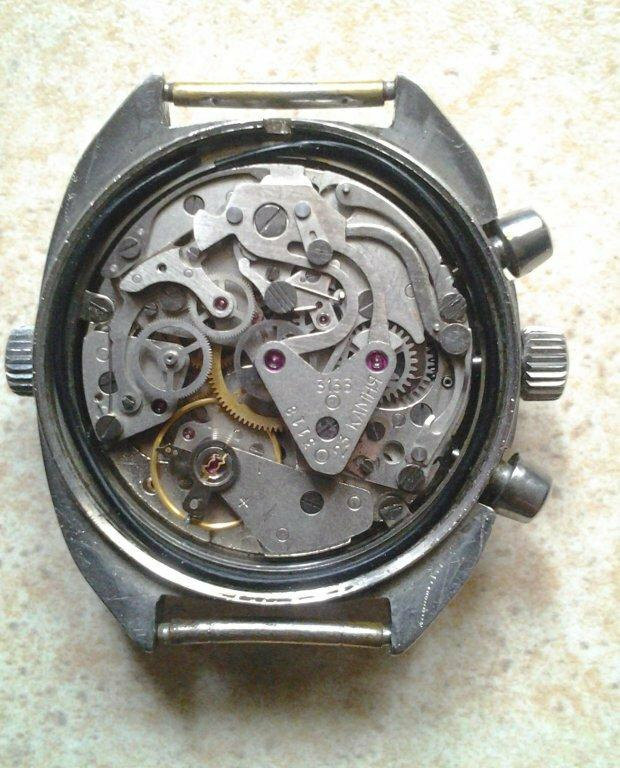 That aside the movement is in good original condition. I assume this isn't an original dial ,but just wanted to check the experts. I don't see anything to complain about, Kev. There were some NOS dials available some months ago that were authentic. The easiest way to weed out the fakes is to look at the North Pole. On the fakes the longitudinal lines are discontinuous. I'm not sure about that second hand, though. The shaft looks thick and the "sputnik" looks small. 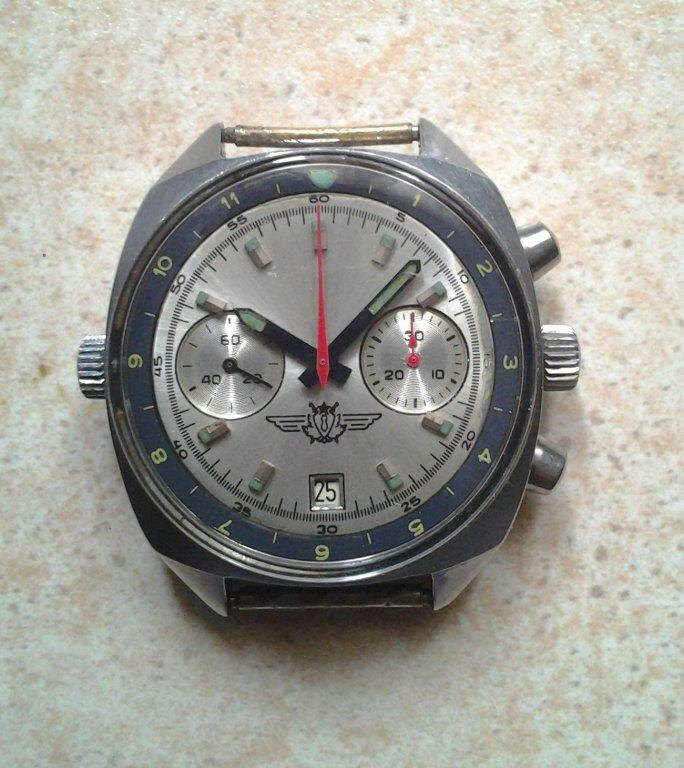 Also I believe the authentic black dial, chrome body should have chrome hands, pretty rare, only Poljot that uses the chrome hands like these. Someone had a chrome body, bought the NOS black dial and then was stymied and had to use a set of gold hands. Just a possibility, of course. Last edited by schnurrp; August 22nd, 2017 at 05:12. That's completely legit. However the hands were taken from a white-dialed variant. The black-dialed ones only had grey metal hands. May I ask how much does the seller want for it? Hello all, my first Baker and something is off. Sold as 100% original but for me the hands come from another baker with a different color scheme.